Explore the history of our beautiful museum building, a house of worship for a century and a half, a Civil War hospital, and a striking example of 19th century architectural ingenuity. Rev. John Casper Bucher, D.D. Founder of Resurrection Reformed Church. Construction of the original portion of the present building was started in 1829. The bricks for the church were likely fired along South Mountain just half a mile from the building site. Timber was cut along the mountain and hauled into town where massive compound trusses were built to support the roof structure. 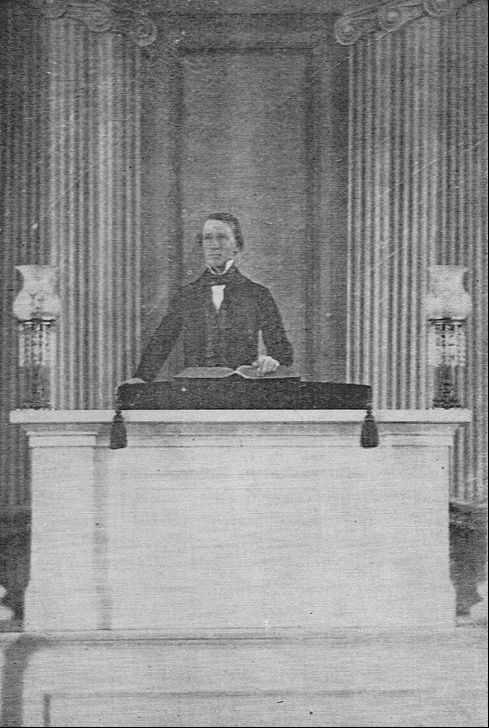 On February 19, 1831, the congregation’s most influential leader, John Willard, was killed when a tree branch struck him in the head while he was cutting timber for the church. 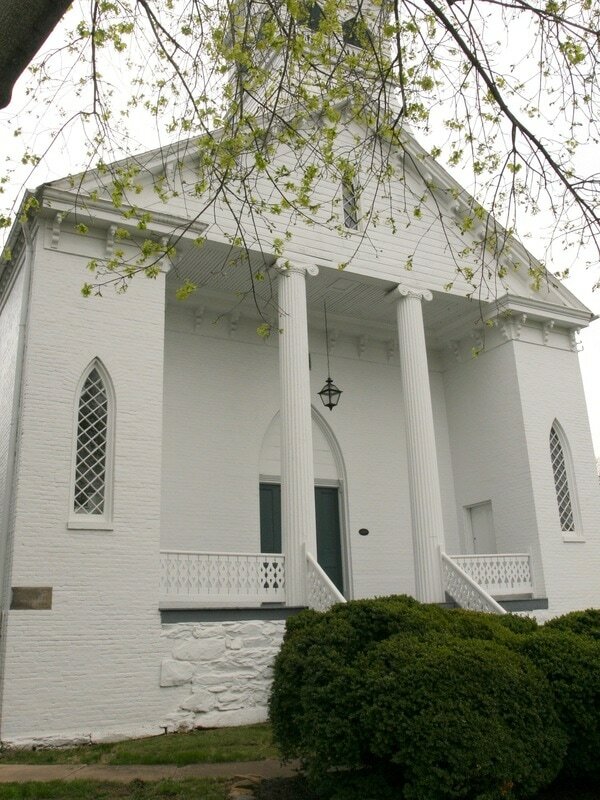 Completed by 1831, the “Union Church,” as the building was called, was occupied by both the Reformed and Lutheran congregations who drew up an agreement on their shared use of the church. While the exact appearance of this structure is unknown, the footprint of the original building can still be discerned today in the church. A structure which is similar in design to the original Union Church may be St. John’s Lutheran Church near Myersville, about twelve miles north in the valley. 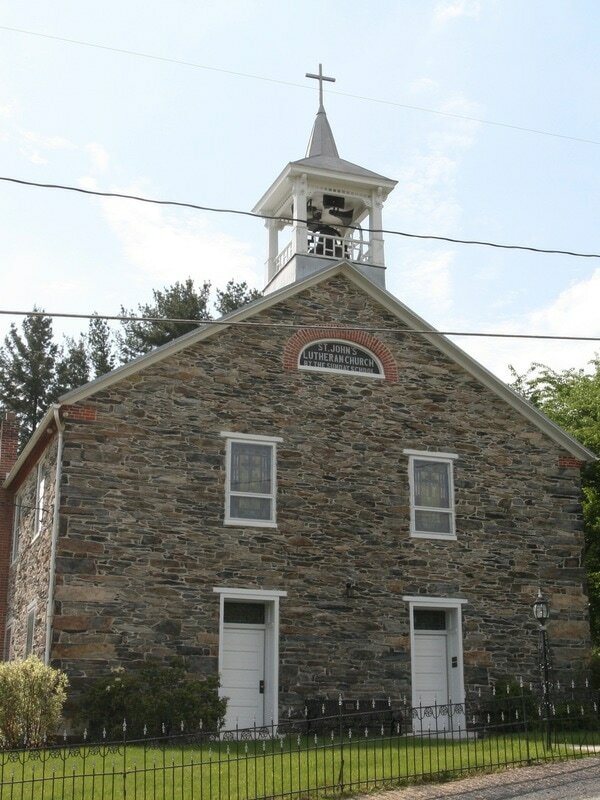 Though constructed of stone instead of brick, St. John’s occupies a similar footprint to the Burkittsville Union Church and was completed around the same time in 1830. Another tie between the churches is through the Rev. Abraham Reck, who was pastoring the Lutheran Congregations both in Burkittsville and at St. Johns when both buildings were constructed. The grave of John Willard, early leader of the Reformed congregation who was killed in an accident while cutting timber for the church's rafters in 1831. 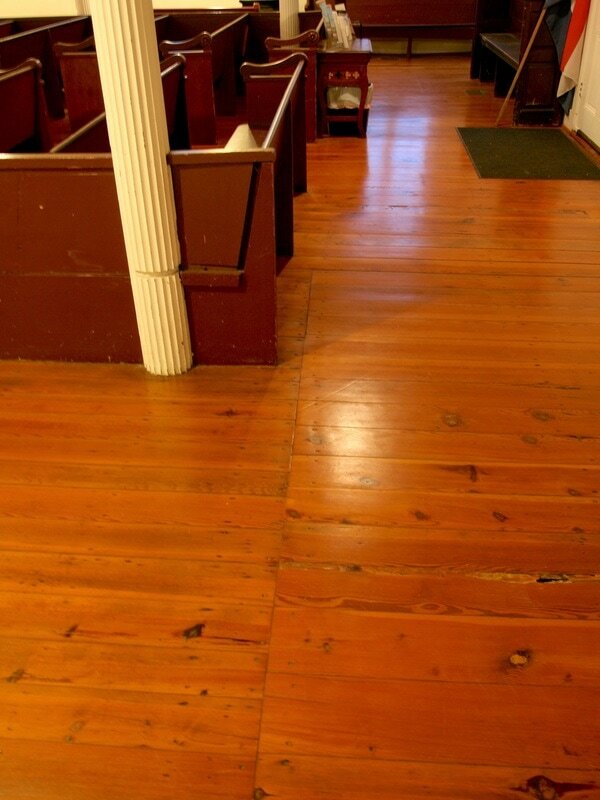 The line observed between the two sections of floor boards in the center of this photograph marks the end of the original 1829-1831 structure (to the left) and the 1860 addition (to the right). St. John's Lutheran Church in Church Hill serves as an example of a similar structure to the original Union Church built in Burkittsville. Both buildings were completed around 1830 and share similar characteristics and cultural influences. 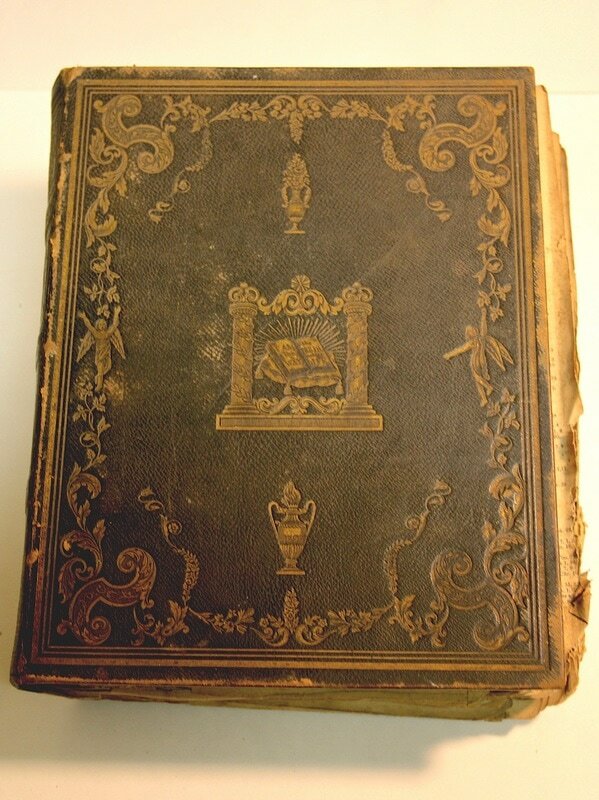 The 1848 Pulpit Bible from the Reformed Church, featuring an intricately decorated gilt cover, published in Philadelphia by John B. Perry. The most dramatic change to the building resulting from the 1860 renovation was the new front facade with its imposing Ionic-order portico. 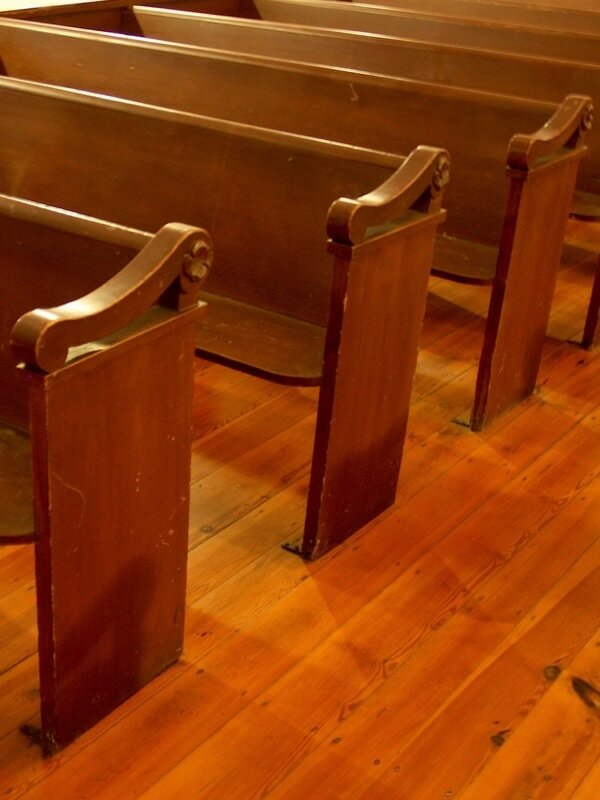 The pews installed in the sanctuary in 1860 remain in place today. Each end of the pews is decorated with a scroll with a dogwood bloom set in its volute. The prosperity and growth of its first thirty years soon came to a halt when the church and the town found themselves in the midst of the nation’s Civil War. On Sunday, September 14, 1862, U.S. and Confederate forces clashed on South Mountain as Union General George B. McClellan launched an attack on Confederate General Robert E. Lee’s army as they sought to capture the U.S. armory at Harpers Ferry. By nightfall, the Confederates were in retreat and the U.S. army crossed the mountain to stage the next day’s attack on southern positions around Harpers Ferry. Over 1,000 wounded soldiers were carried from the mountain into Burkittsville. Resurrection Church became Hospital D and housed soldiers from both the north and south through the next four months. When the army returned the church to the congregation on January 31, 1863, Resurrection Church was in a state of disrepair. The church’s pews had been removed from the sanctuary, carpets lining the aisles and pulpit were ruined, and the walls were splattered with blood. Moreover, the congregation, saddled with debt from having rebuilt the church and purchasing the Lutheran’s half ownership in the property just before the war, had to borrow money from one of its wealthiest members to repair the church and return it to active use. Learn more about "Hospital D" and read eyewitness testimony of the Civil War's impact on Resurrection Reformed Church by clicking on the image above. This photograph was taken shortly after the renovations of 1896 were completed. The Victorian belfry is visible above the earlier Greek-Revival styled portico of 1860. 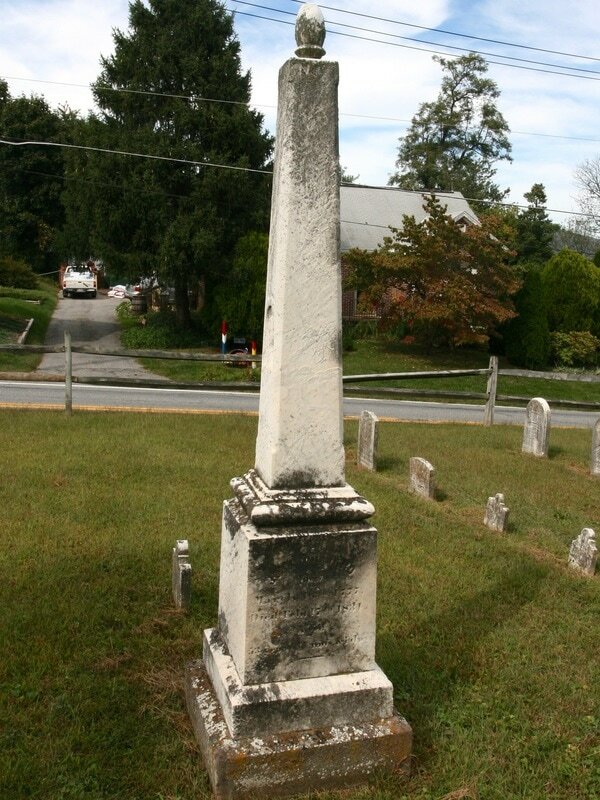 After the lean years of the Civil War, the Reconstruction era saw new growth for Burkittsville and Resurrection Church. In 1879, the church’s first permanent minister, Rev. George Lewis Staley, opened St. John’s Female Seminary at Tryconnel, a large farm just a few miles south of town leading towards Berlin (Brunswick). 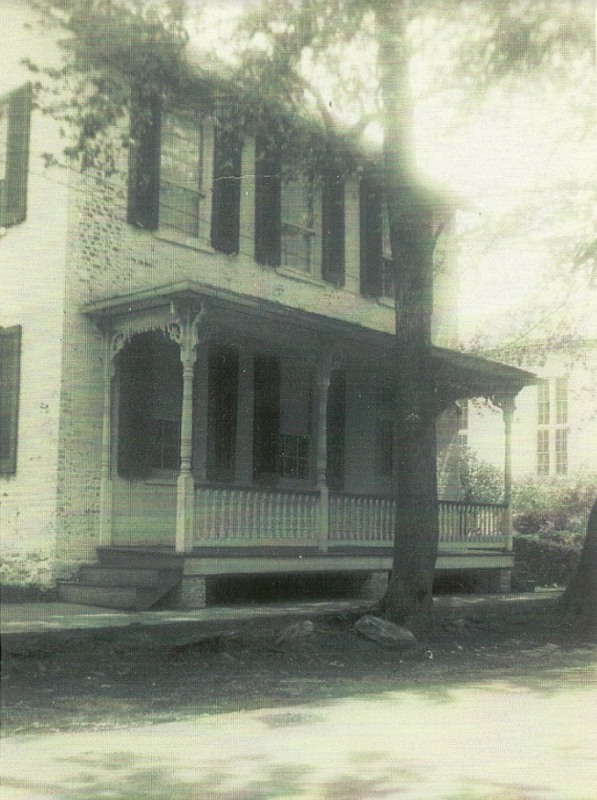 The school was one of several institutions of higher education which operated in Burkittsville during the latter half of the 19th century. As industries such as whiskey distilling grew in the vicinity of town, the economy began to prosper once again. The Victorian era saw new construction in town, improvements to the infrastructure, and the expansion of both of the town’s churches as well as the creation of a third (St. John’s Episcopal Chapel – 1896). In 1894, a frame chapel was erected on the back of the Reformed Church to house the Sunday School. Two years later, more improvements were made to the building including the addition of the belfry and church bell, a new suite of chancel furniture, a new chandelier, and frescoes applied to the interior walls. These improvements marked the last major change to occur to Resurrection Reformed Church. 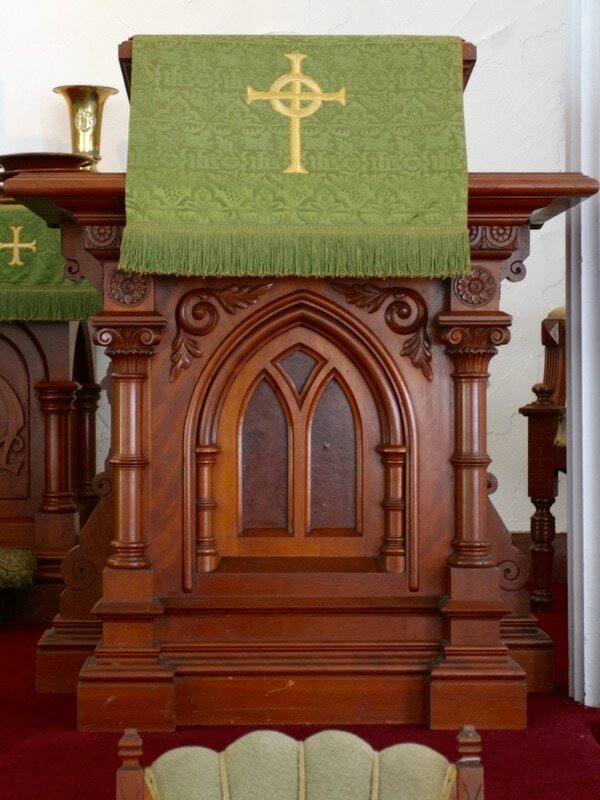 The pulpit from the elegant Eastlake-styled chancel suite installed during the renovations of 1896. 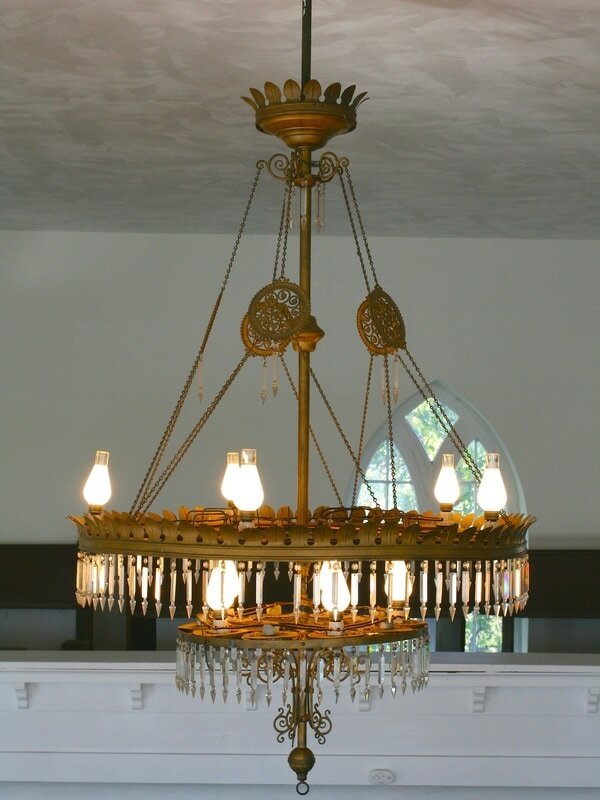 Originally fitted with oil lamps, the 1896 chandelier is preserved in the church today, having long-since been converted to electric lights. The 1896 church bell, weighing 700 pounds, was cast in Baltimore. 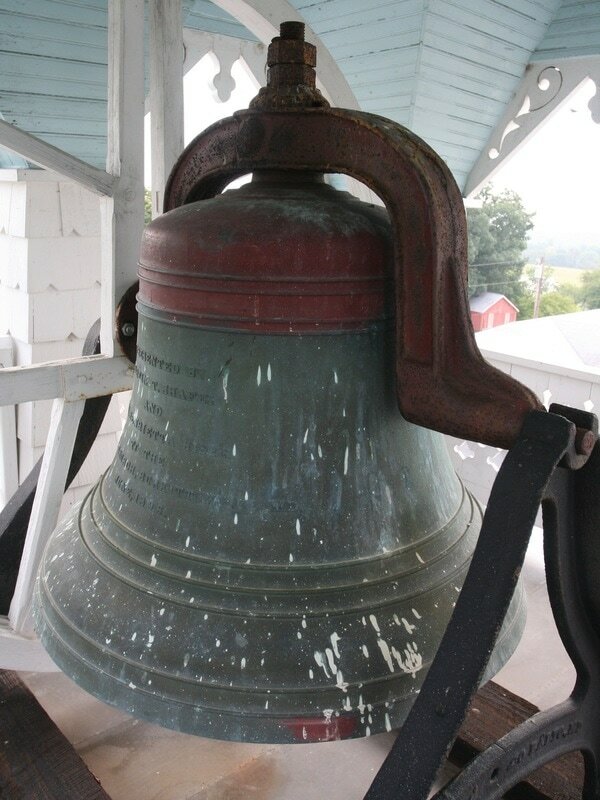 The bell was donated by church members Martin Shafer and Henrietta (Shafer) Biser. 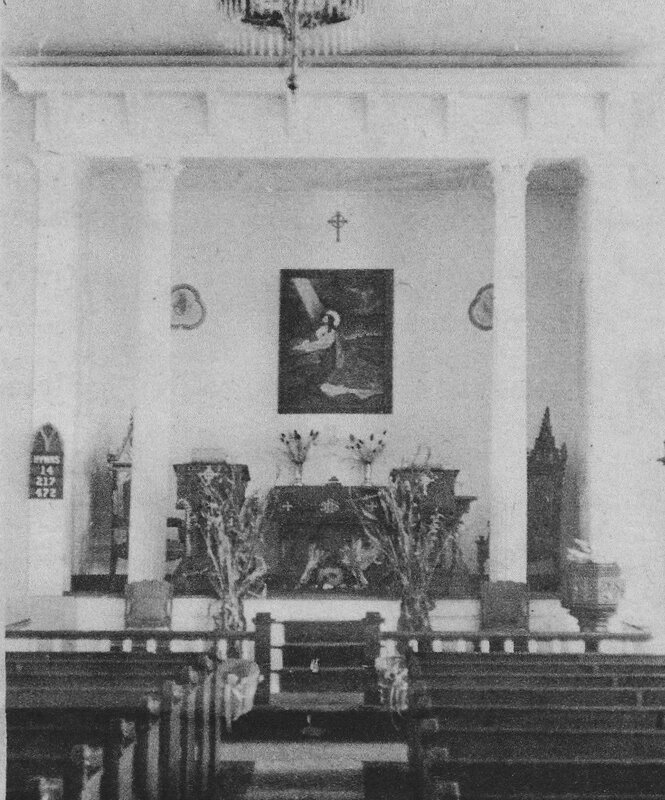 The sanctuary decorated for Thanksgiving during the last service held at Resurrection Reformed Church in 1979. In the twentieth century, changing cultural perspectives and tastes took their toll on Resurrection Reformed Church. 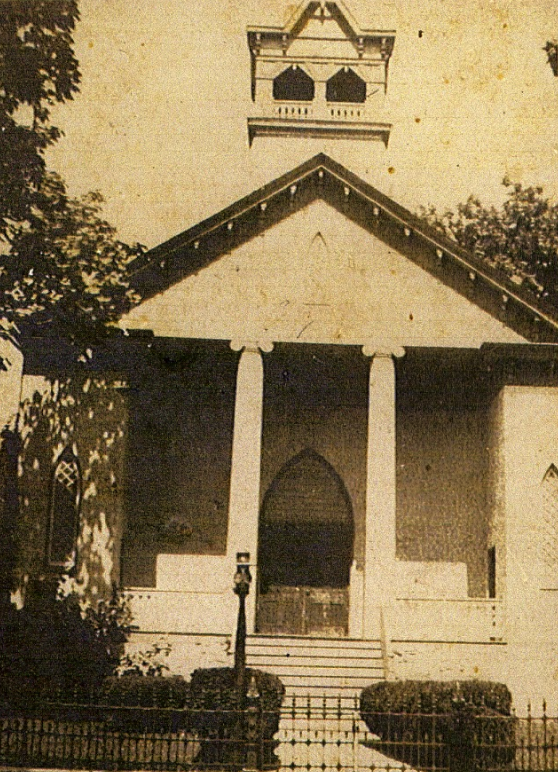 Though the congregation had been Burkittsville’s dominant religious institution in the 19th century, the Lutheran Church overtook its position as the town’s larger congregation in the early 1900s. By the 1940s, Burkittsville’s congregation had declined to the point that it could no longer support its own pastor. 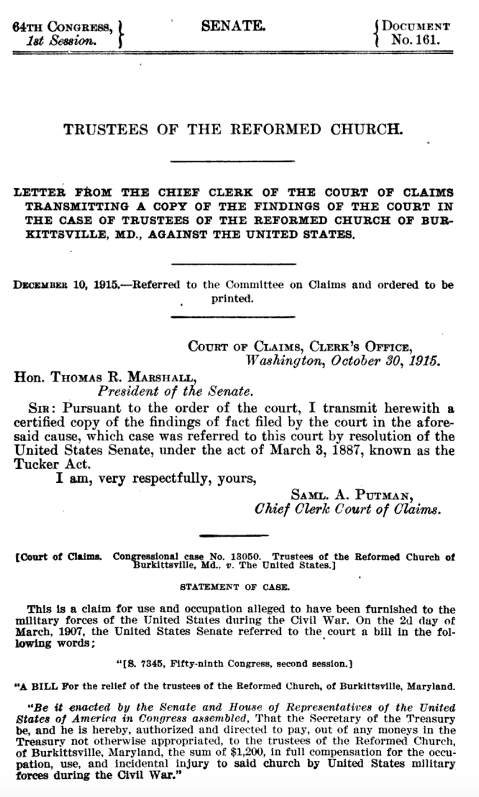 The Burkittsville Charge, which had once supported four congregations, declined to just two after the closure of both the Petersville and Knoxville churches in the 1930s. The last minister to serve the Burkittsville Charge, Rev. Clark S. Smith, concluded his pastorate in 1946. Afterwards, the congregation returned to the pastoral care of Christ Reformed Church in Middletown and the Brunswick congregation joined the Jefferson Reformed Charge until its closure in 1966. Faced with a declining congregation and mounting maintenance issues with the historic building, the Resurrection Reformed Church closed its doors in 1979, concluding 150 years of gathering for worship. However, the story of the historic church did not end here. Three years earlier, the Reformed Church had forged a partnership with the newly-created Burkittsville District Heritage Society and became a center for collecting and preserving artifacts of the region's cultural history. When the church closed its doors, the trustees of the congregation signed over the historic building to the heritage society, along with its contents. This gift allowed the church to remain preserved as an architectural and historical landmark for Burkittsville. 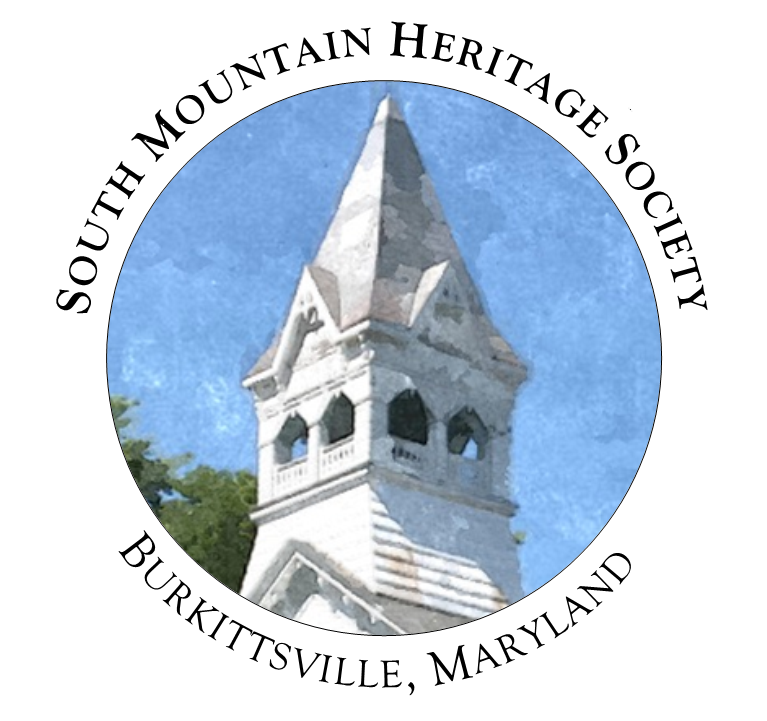 In the early-1990s, South Mountain Heritage Society assumed the stewardship of this historic place, completing a thorough restoration and ensuring that future generations can learn through its story the larger history of Burkittsville and the surrounding region.